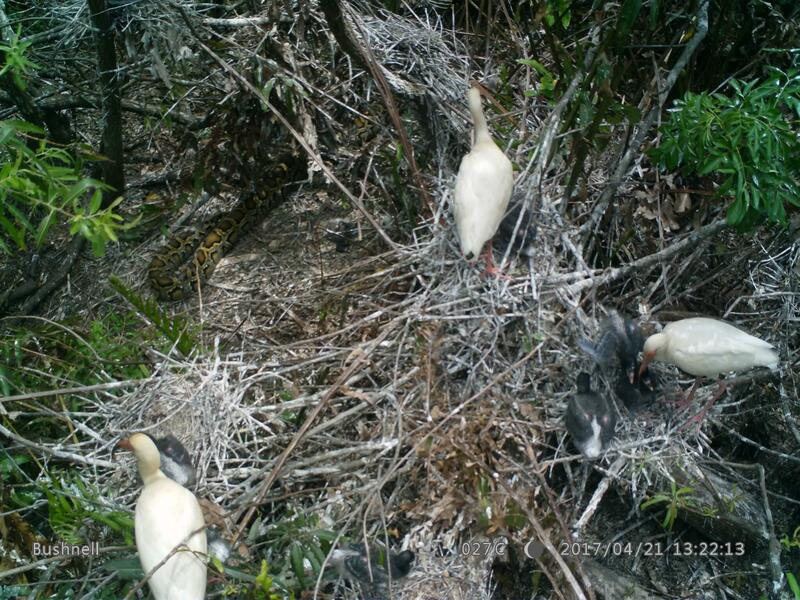 As part of her masters degree with the University of Florida, ecologist Sophie Orzechowski studied python activity on tree islands -- that's where wading birds, like egrets, herons and wood storks go to breed and nest. She and other researchers used a genetic tool to test for python DNA on tree islands. "We found that pythons are occupying islands with the wading bird colonies at higher rates than the islands without birds," she said. They also caught some pythons on camera. Researchers said this is a concern because pythons eat a lot. It's estimated they've already consumed more than 90 percent of mid-sized mammals in the Everglades. It's been known that pythons eat adult wading birds, but this is the first documentation of pythons eating nestlings. 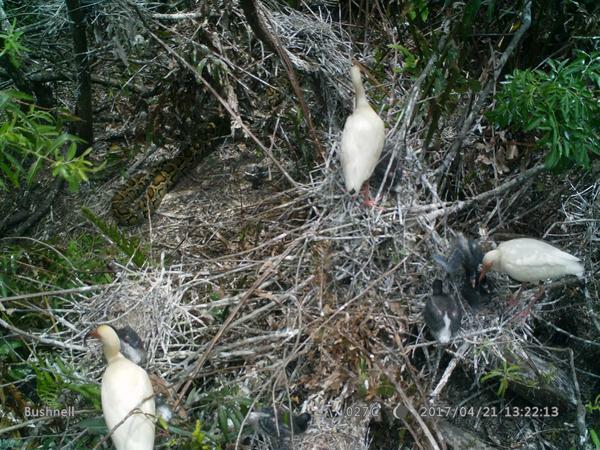 The scientists tested 30 islands in the Everglades, 15 with nesting sites and 15 without.